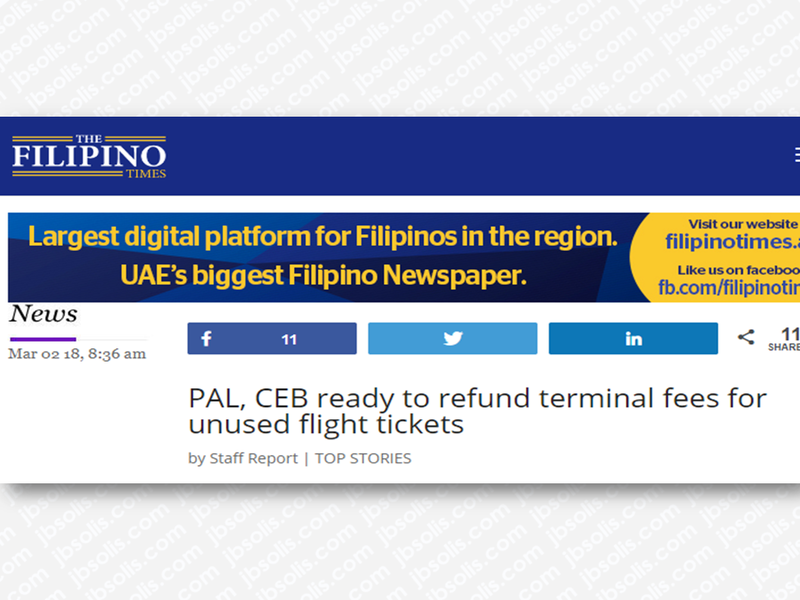 Philippine Airlines (PAL) and Cebu Pacific (Cebu Pac) said that they are ready to return terminal fees for unused tickets of passengers who failed to make their flights. Terminal fees is integrated in all air ticket purchases. 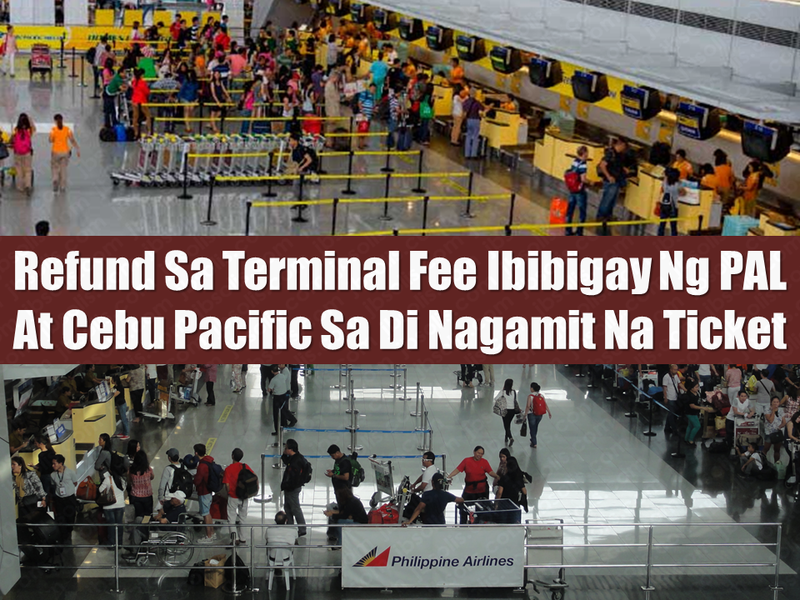 However, the OFWs may refund their terminal fees at the designated booth at NAIA. Two airline giants Philippine Airlines (PAL) and Cebu Pacific Air (Cebu Pac) said that they are ready to return terminal fees for unused tickets of passengers who failed to make their flights. 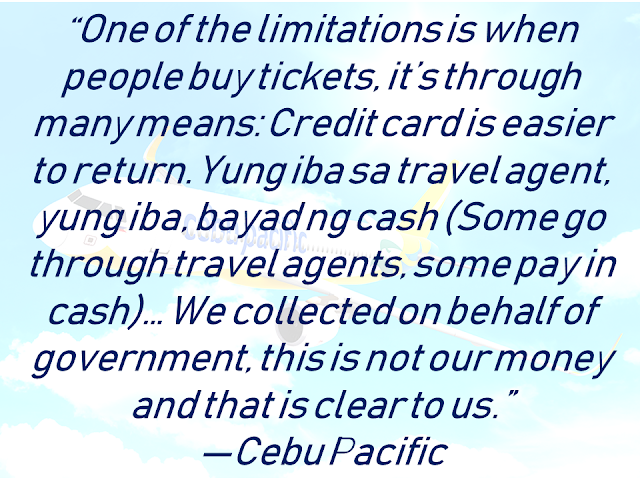 Cebu Pacific CEO Alexander Lao said though they are ready to return terminal fees, locating those who purchased unused tickets will be a bigger challenge. Lao also explained that the different means of buying tickets would make it harder to locate profiles of unused ticket holders. Meanwhile in a statement, PAL said that returning the money is more efficient than keeping it since it would make them more accountable. Terminal fees have been integrated in the cost of an airline ticket by a regulation from CAAP. 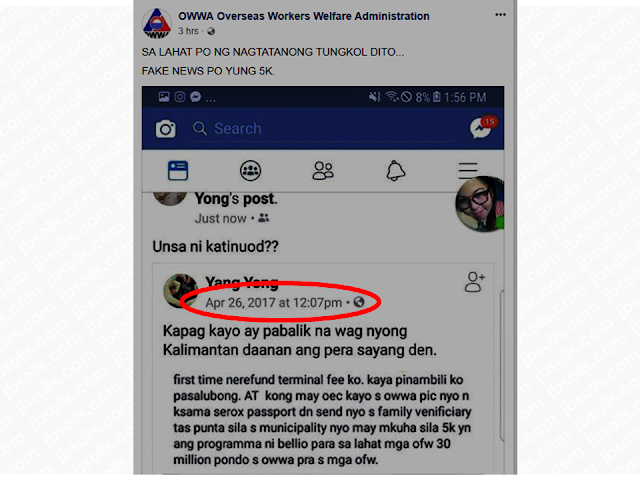 Meanwhile, OWWA through its social media page warned the public not to entertain a status posted by a certain Yang Yong which says OFWs and their families could claim P5,000 from OWWA. OWWA said that the malicious post dated April 26, 2017 is fake.